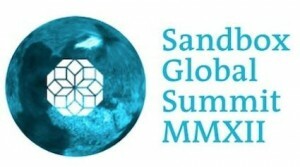 The recently concluded Sandbox Global Summit which took place over the weekend saw some of the brightest young minds gather in Lisbon, Portugal and engage in discussions over ideas that (one day may) change the world. Over 200 young innovators and leaders participated in collaborative, participant-led sessions that ranged ranging from “On Stealing Ideas” by Mattan Griffel, CEO of a NYC-based digital agency, to “How to have the luck of the Irish and pour the perfect pint of Guinness” by William McQuillan, Founder and CEO of Osmoda.com, to “Social enterprise future moulded by Asia” by Kalsoom Lakhani, Founder of Invest2Innovate, and Achyutha Sharma, Director of Sulochana Development Trust. • Cynthia Hellen (from NYC) is the founder of GIRLS WHO ROCK, a crowd-pleasing, change-making benefit concert fundraising for girls’ education worldwide. • Kelley Calvin (from Washington, DC) is the Founder of Michelle In Training (MIT), a new organization that will teach professionalism, self-esteem and life skills underprivileged high school girls. • Lina Lustig (from Berlin, Germany) is a pioneer in the blue economy – an international community of companies, innovators and scientists that strive to improve the quality of life for all. • Virgilia Singh (from Phoenix, AZ) is the co-founder of So What’s On Your Plate, an action focused organization that brings women together over a common love of food. • Tammy Tibbetts (from NYC) is the founder of She’s the First, a not-for-profit that sponsors girls’ education in the developing world. • Tiphani Montgomery (from North Carolina) is passionate about learning new ways to teach single mothers about entrepreneurship, financial literacy, and how to love themselves. These women are playing an active role in breaking new ground in the empowerment of women on a global scale. We wish them all success!